At the moment, I feel like I am obsessed with doors - or maybe this is just an obsession that I have always had? - who knows! But when looking through the photos from my travel adventures, I'll always stumble across a good door picture. In all honesty, I think that it's the notion of a door being an insight into someone's culture and way of life - it intrigues me and is something that I always love to learn about - how about you? Am I one big door weirdo or - like me - do you geek out at the idea of a beautiful door? 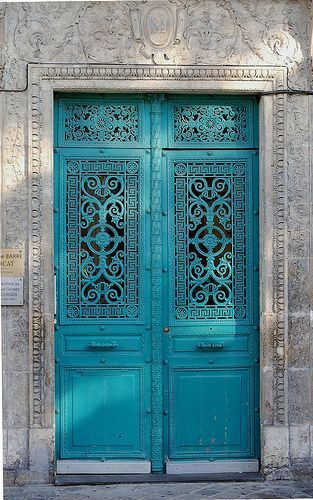 Anyway, if you do like this kind of thing, then I thought I would share a few of my personal favourites or you can take a peek at my Pinterest board for more door love.